The CAXJ12S XLR Male to XLR Female Straight Cable (12") from Remote Audio is a general purpose XLR cable that can be used for a variety of applications. 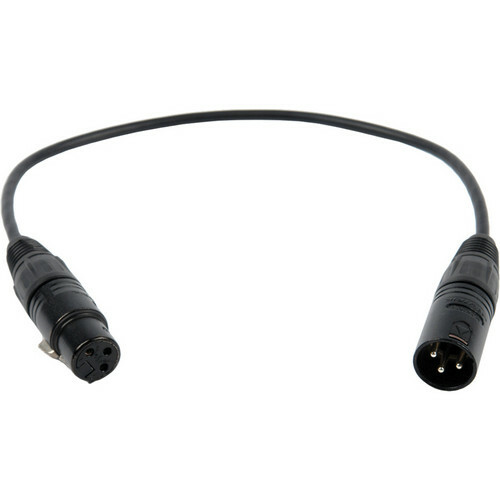 The cable has a standard 3-pin XLR male connector at one end and a 3-pin XLR female connector at the other. The 12" length makes this cable ideal for applications such as patching, where space is at a premium. Box Dimensions (LxWxH) 7.0 x 2.4 x 1.6"